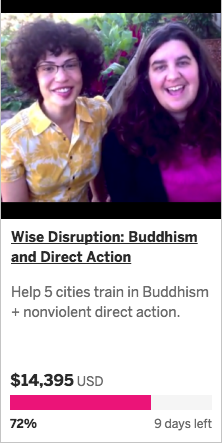 Walks and Blockades: BPF and Buddhist Direct Action – Engage! Via BPFer Louise Dunlap: Marking 70 years since Hiroshima & Nagasaki, THREE PeaceWalks will converge at the United Nations, joining people from all over the world to urge the UN to move toward abolition of costly & horrific nuclear weapons—in this terrifying age of brinksmanship. 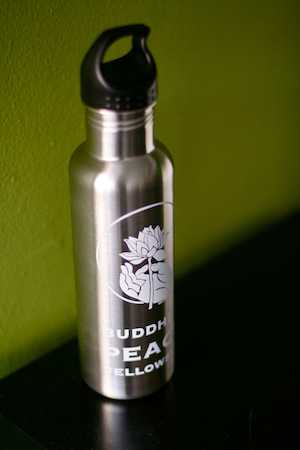 (1) Walk for a New Spring starts at the Leverett Peace Pagoda in western MA on March 13th. Contact Tim Bullock for details at tbull44@gmail.com. (2) The 2015 NPT Walk for a Nuclear Free Future starts in Richmond CA on March 20th and reaches NYC on April 26th. Contacts are Amy Hutto at helloamyhutto@gmail.com and Jules Orkin at julesorkin@yahoo.com. (3) Moving Towards a Nuclear Free Future starts in Knoxville TN March 30th and walks/runs/cycles to NYC by April 26th. 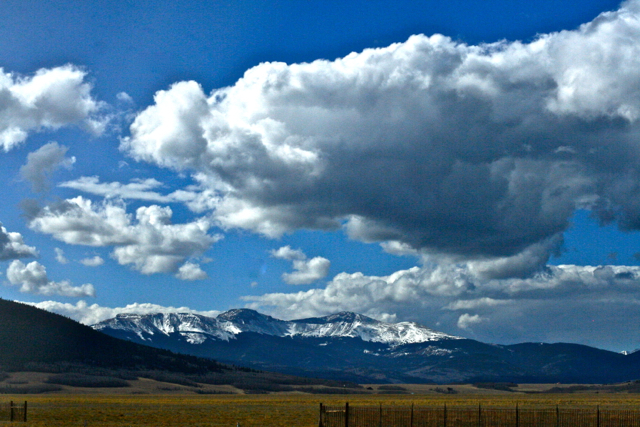 Contact Jim Toren at footprintsforpeace@fuse.net. The plan is for all three walks to converge on the New Jersey side the morning of April 26 and cross the George Washington Bridge together heading into the City. The websites all have schedules so people all along the way can figure out how to participate. Many runners from Europe plan to be with the third walk (doing 35-55 miles a day) and at least 15 people from Japan will be walking from SF. Two of the walks are initiated by monks or nuns from the Nipponzan Myohoji Peace Pagodas (in New England and New York) and the third will have strong participation from the Atlanta dojo—plus there will be other Buddhist groups coming from Japan for the final Peace and Planet mobilization on April 26 in New York. It should be an amazing convergence!! Intergenerational Exchanges: Fred Eppsteiner, teacher at the Florida Community of Mindfulness, talks intently with Katie Loncke, Co-Director of BPF. Spanning 35 years of BPF wisdom and experience! Following an evening presentation to the Buddhist Climate Action Network, Tampa chapter, generous hosts to Katie and BPFer aneeta mitha. Katie had the opportunity to practice and refine nonviolent blockading skills with some of the brave bodhisattvas who have been defending land against the Keystone XL Pipeline. 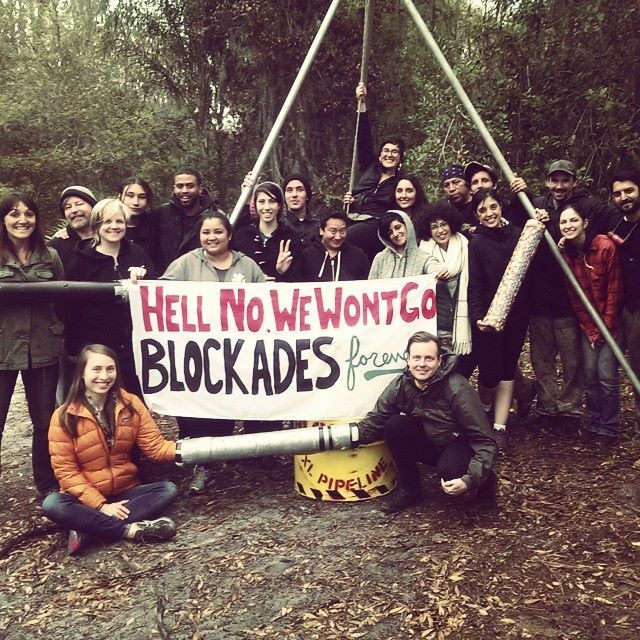 From tripods to tree-sits, barrels to bike locks: Greenpeace action camp reviewed an entire arsenal of nonviolent action tools for extending the life of a blockade. Give today and help spread the word for spiritual activism. Plus, you can score some great perks – BPF water bottles, first aid kits, or an accountability buddy to help you stay on track with your practice! Thank you for putting your compassion into action!